Writing Memoirs that People WANT to Read! 10:30 am – 1:00 p.m.
Come to this interactive seminar to tackle that memoir your mind, or family's been bugging you to write! Special tips to make the process of writing even painful memories in a compelling style all your own. You'll get a chance to write a short piece and get positive, constructive feedback that will help you enrich the stories of your life. YES YOU CAN! AND YES, PEOPLE WILL WANT TO READ YOUR STORIES EVEN IF YOU ARE NOT "FAMOUS"! Leading this IWOSC memoir writing intensive, Ina will draw on her expertise in the key areas of bringing your own story to life on the page. Having worked with survivors of trauma, including sexual abuse and the Holocaust, Ina knows exactly how to break the fear-cycle of “triggering” memories and get them down on the page as painlessly as possible. She will share her proven tips and techniques on memory recall, story structure, and telling personal stories in the most lively, page-turning fashion, including her unique ability to help writers inject humor into their work and into the writing process itself. Reservations and information including address. 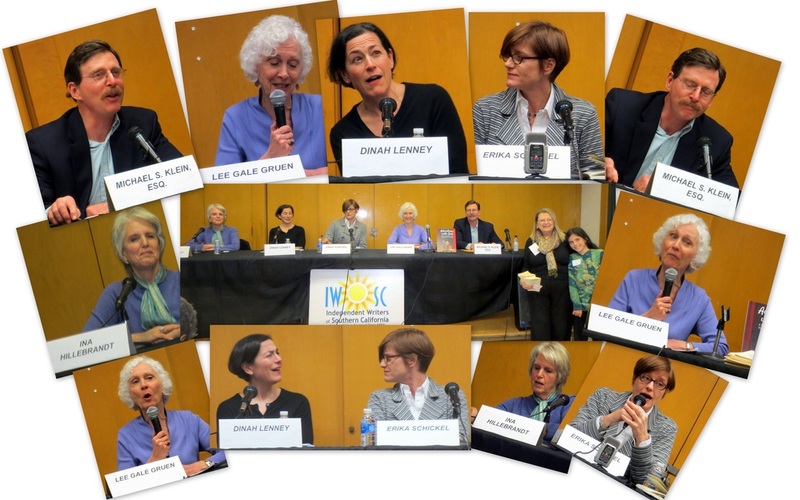 Reg opens Feb. 1: https://iwosc.org/writing-memoirs-that-people-want-to-read/. *NOTE: Please also accept Ina's apologies for the re-scheduling need. A very mean bug bit her, but she is back in form and looking forward to seeing you in March.If you registered and pre-paid for the original date in January, please know you will be given a credit for the upcoming rescheduled event. You will be receiving an email from IWOSC to let you know details. And if you have not yet signed up, there are a few seats remaining. Just use the link above. Hope to see you soon!!! 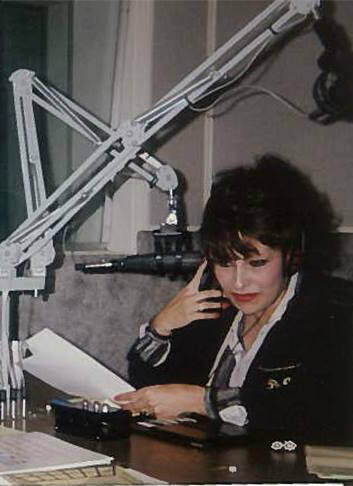 Jump-Start Your Book Round 2 with Ina and fun and provocative radio host Rose Colombo Wed. Nov. 1, 8-9 pm PDT! Call 646-564-9742 to listen in to Ina's answers to questions on organizing and making your writing richer! Or tune in and join the discussion online at Colombo Chronicles Live! Ina will be tackling questions people have been asking on how to jump start your project. And how to keep on writing! Here are some topics she'll hit. What can you do about writers' block? What if you have 3 or more ideas you want to work on? How can you decide which one to choose? Do you have to pick one? Once you get started writing a book, how can you keep on going? If you get stuck along the way, what do you do? What can you tell listeners about writing dialog? How can you figure out when there is too much detail? Not enough? Can you talk a little about character development? Should you think about writing a book for specific audiences before you start writing? Can you give listeners some ideas for structuring their book? Winning Tools & Techniques to Make Publishing Your Book a Profitable Adventure! LOCATION: Veterans Memorial Building, 4117 Overland Avenue, Culver City, 90230. Corner of Overland & Culver. COST: FREE! Don’t miss this opportunity! Get your specific book publishing questions answered by top industry experts! Cover or interior book design questions? Bring 'em! Marketing questions? Bring 'em! You'll get one-on-one input from experts. You’ll also get the inside information on what’s hot in the publishing industry from our keynote speaker, Angela Bole, CEO of the Independent Book Publishers Association, who will give you the scoop on “What’s New in Publishing” to help you navigate our industry’s constantly changing landscape. "Wise, warm, witty whimsy no animal lover would wish to miss." 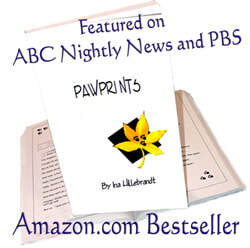 Tune in to hear Ina being interviewed about the upcoming new edition of her Amazon best seller Pawprints, enchanting vignettes about close encounters between people and the furry and feathered -- cats, dogs, penguins, frogs, nose fur, for ex. -- and the occasional inanimate object. She'll also be talking about Pawprints Literacy Plus™, developed for the Jane Goodall Institute originally. The program has kids saying, "I think I'll stop kicking the cat." And grown ups saying, "The stories are soothing, uplifting," "A bulwark against specie-ism." TIME: 10:00 am - 12:30 p.m.
A small group setting, good food, plus inspiration and tools to inspire you to dive in, finally, to that book that's been nagging you from the recesses of your mind! A writing workshop to take your book to the next level! 10 MEETINGS WEEKLY WESTSIDE LA. WHO'S THIS WRITING WORKSHOP FOR? Writers of fiction, non-fiction, memoir, how-to books. Jump Start Your Book! (JSYB), alums and others who have been working on one specific book, and want some help with structure, character, detail, story, dialog. And tips/support to stay on track! Ina will provide keys to keeping your writing fresh, and making it fun to write! Ina's a big believer in "Yes and..." Focus will be on positive responses, with all efforts at keeping comments/responses/questions directed at how writers can build on what they've done, and strengthen the work. NOTE 2: If you have not got one specific book sorted out of what could be several you've been thinking about, check my new blog post for keys to choosing that ONE that will start you on the road to focus! This will be a 6 month seminar. We will meet mornings once a month, on the last Saturday. The first workshop meets Sat. July 29. Following months will continue on the last Saturday. In December, we will not meet due to holidays. Our final session will be Jan. 27, 2018. Place: Westside L.A. Exact location TBA by email prior to 7/29. Single session: $79. IWOSC Members price $69. I recommend the series to really keep "on the stick." Also this gives you a free session! Early bird discount prices. Reserve your spot by August 20! Series Prices go up $50 after this date. Individual workshops will be $10 higher after Aug. 15. "I so enjoyed meeting you and attending the Jump Start workshop on June 17. Thank you for the inspiration and guidance." "I got a lot out of your seminar, Ina. You nailed a few of my blocks and really said what I needed to hear." "Excellent seminar. I especially liked your warm and competent manner; your experience-based knowledge of the topic; giving time for individual intros and targeted feedback; and always staying on topic. We came away motivated." Way to go, Cheryl Hunter! 38 pages on the new book as of two weeks after the June 17 seminar! How about you?? Space is limited to allow everyone time to read and get feedback. Reserve your spot by Aug. 15. TOPIC: JUMP START YOUR BOOK WRITING PROJECT THIS SUMMER! Much fun with lively radio host Jiggy Jaguar! 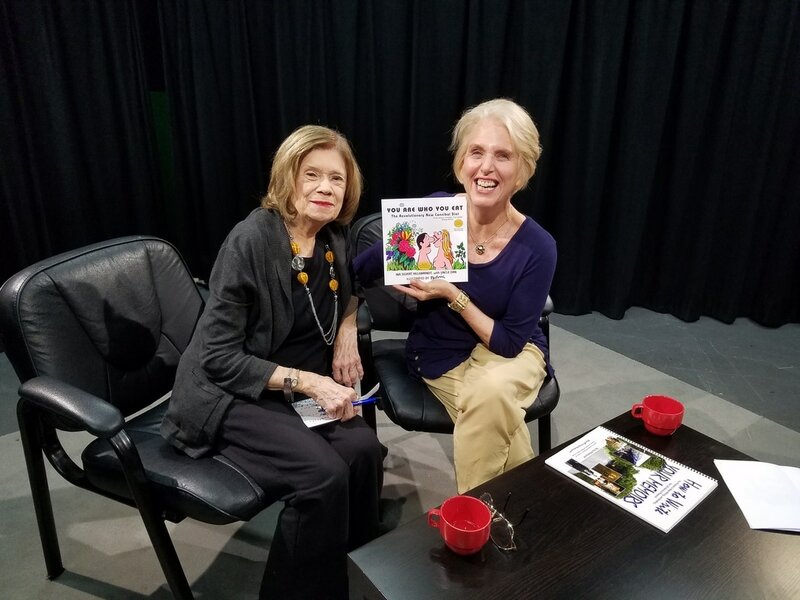 We talked about the Jump Start Your Book program on air. 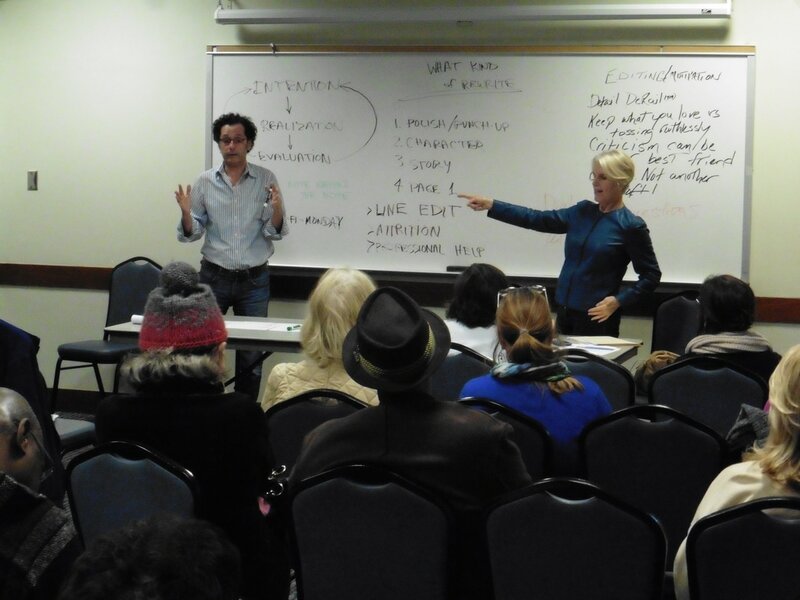 So if you missed the workshop, and live anywhere other than La La Land, tune in and listen to the show online anytime. Do you have more than one? Should you focus on one? Which? Keys to keeping your writing fresh, and making it fun to write! Wendy Kay Dinkel "I was so inspired and already the brain is buzzing! Thank you for the encouragement!" Limited seating. Reservations required. Deadline: Friday June 16. Have you been thinking about writing a book? Wondering where to start? Or, have you started, but feel unclear about how to organize your writing? Looking for ideas to make your book a better read? Now's the time to get feedback and ideas for moving ahead! Did you miss this one? Tune in to Ina's radio interview Tuesday, June 20, with Jiggy Jaguar. If you have an issue that pertains to you specifically (need help editing, social media issues, internet issues, want suggestions for a cover illustrator, etc.) this is the place to discuss it. Some of our Board members, including Ina, will be in attendance, plus many of your fellow writers. We are confident that we can address your personal concerns. Read more and register to attend…. 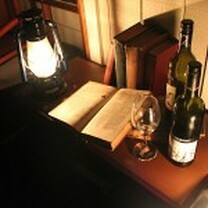 Get more info about speakers, books, activities at this Nationally Known Annual Literary Delight! Ina, will be signing her books, You Are Who You Eat, Pawprints, and How to Write Your Memoirs! She'll be delighted to (m)eat you! Finishing a draft of a book, script, or other written work is an awesome accomplishment – but we all know at least one more set of revisions will certainly follow because you probably won’t get it totally right on the first or second draft. Assessment of a draft and deciding what to emphasize or cut is a very delicate stage of the writing process. This seminar will cover methods and principles that you can apply to books, scripts, memoir, personal essays, speeches, storytelling, etc. 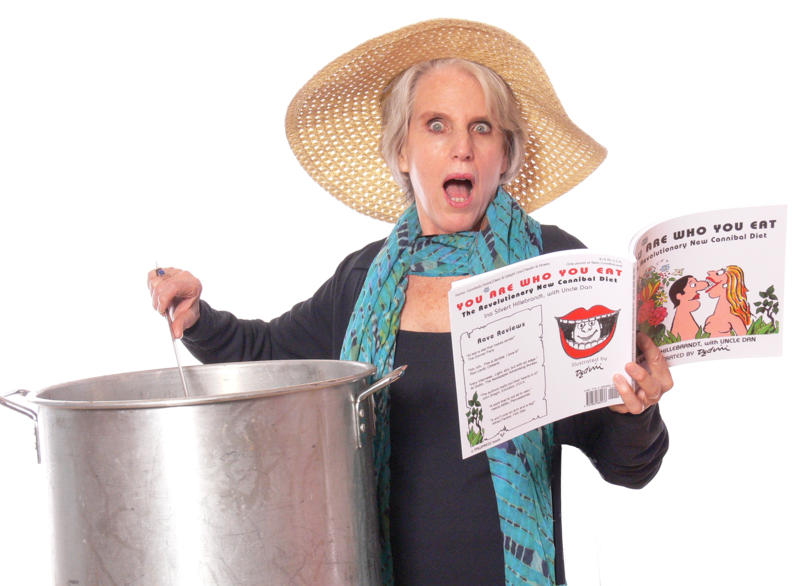 How to Inject Humor into Your Life, and Your Books! Ina Hillebrandt to speak on how to lighten up inside, and add humor to your life, and your work. And for authors, how to tickle the funny bone using the printed word. Go to ﻿http://www.bookpublicists.org﻿ for information and reservations. 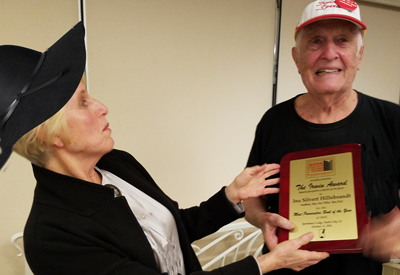 Talking about Memoir Writing and "You Are Who You Eat"
The coveted IRWIN was awarded to Ina Silvert Hillebrandt for "Most Provocative Book of the Year" at the annual IRWIN Awards at the Thursday night. "This is a wild book!" BPSC founder Irwin Zucker said in his introduction. "You've heard the saying 'You are what you eat'? 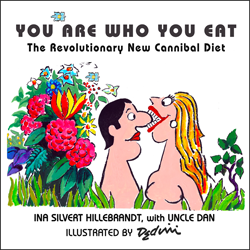 Well, She came up with a book called 'You Are Who You Eat.' It contains a 'revolutionary new cannibal diet.' And the book is loaded with laughter, and humor like crazy! On every page! 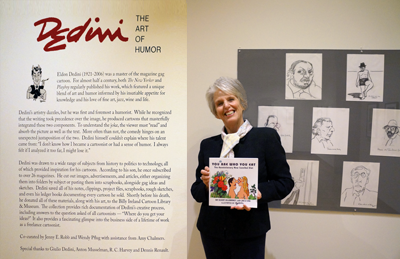 Author Ina Silvert Hillebrandt Represents the "You Are Who You Eat" Team at the Opening Ceremonies of Dedini Exhibit at the Billy Ireland Cartoon Library & MuseumA special exhibit honoring the man and his art is being held at the Billy Ireland February 13 through May 22, 2016. 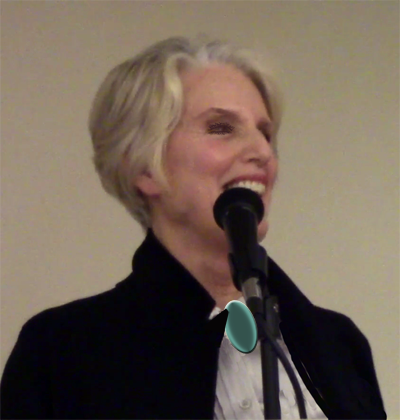 Author Ina Silvert Hillebrandt was very pleased to attend the opening ceremonies, February 23. Peter Tonguette, of the Columbus Dispatch, had this to say about the exhibit, and Dedini as a man and artist. The free exhibits "Dedini: The Art of Humor" and "Wordless: The Collection of David A. Berona" continue through May 22 at the Billy Ireland Cartoon Library & Museum. Do check it out and go if you can! Booth 148 at various times. Do visit! Another group of fine writers and the people who help them get out to the world! You Are Who You Eat will be there for your viewing, and dining info pleasure! Join Ina Hillebrandt (Moderator/Panelist), Barry Fox, Paolina Milana, Brett Paisel, and Kate Zental for a lively discussion of key memoir writing techniques. Thinking about writing the stories of your life? Wondering where to start? Or have you started but feel unclear about how to organize your writing? Looking for ideas to make your tales a better read? Are you a published author looking for help writing in memoir form? We will discuss techniques that help enliven and enrich books of memoir, and tools to sharpen your writing and organization skills. We’ll help you move to the next level of your work. Tips on writing a memoir that readers will enjoy reading! Detail -- how much is appropriate to include? Note: Wear layered clothing as the temperature in the room can vary. Reservation deadline: space permitting, 5:00 p.m. Sunday, the day before the meeting. Email the IWOSC office with "IWOSC Reservation" and the date or meeting month in the subject line. Be sure to tell us your first name, your last name, a phone number, and whether you are a member or not. Your name will be on a list at the check-in table. For proof of your reservation, bring a printout of your email or show a smartphone version of your “sent” email or confirmation. Please arrive before 7:20 pm to be seated. Doors open to everyone at 7:20 p.m. and people will be admitted as space permits. If you have a blocker such as Boxbe, be sure to add info(at-sign)iwosc.org to your OK list or you will never see your confirmation. If you reserve and can not attend, please email our office to let us know. Would you like to find out how those authors whose books we can’t get enough of landed contracts to spin one title into a series? Join us for an illustrious panel who will take us through the steps, from different publishing, creative and sales perspectives. What does a series of books buy you, the author and/or publisher, that a single book may not? What kinds of books lend themselves to series? Are there particular genres that work better than others? Are there any genres that are not good fodder for a series? What kind of content/characters/stories work best for a series? How can you develop idea/story/character lines that will keep readers panting for the next release in your series? How do you go about attracting government buyers for a book series? And why is this a profitable avenue to pursue? How do you appeal to corporate or other types of organizational buyers for a series of books? What are the advantages/disadvantages of self-publishing book series vs. going with boutique and larger publishing houses? 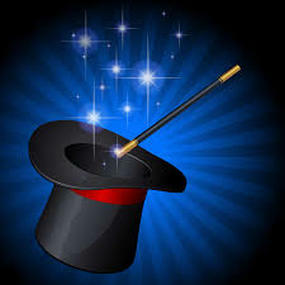 Are there differences in approach, content, style required for selling to different types/sizes of publishing entities? How can you craft a pitch to appeal to each? How do you keep your own voice when making the move one type of publishing and distribution channel to another? Can you create series for more than one type of publishing type? Would this be a good idea? Erika Fabian -- A versatile writer/photographer, Erika Fabian had twenty-three books and nearly two hundred photo-illustrated articles published. Her varied career includes many years of travel on assignment for National Geographic Magazine and other publishers, which resulted in a six-series book on travel photography, and a three-series book for the Government on Indonesia. Her current work includes writing one of several forthcoming novels and editing books for other authors. COST: Free for PA-LA members. $15 for non-members. Would You Like To Do What You Love and Have Someone Else Foot the Bill? Have you ever thought of approaching corporate sponsors for your book, publishing, speaking or events? America’s most successful companies partner with sponsors. Why not those of us in the publishing and writing world? 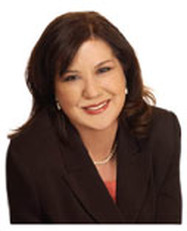 Our speaker, Linda Hollander, will provide solid steps you can take to attract corporate sponsors to help defray or even cover your marketing, publicity and other costs. You'll hear stories about steps she and those she has coached have taken to land sponsorships from a number of Fortune 500 corporations. Linda Hollander. known as the “Wealthy Bag Lady,” is the author of the #1 best-selling book, Corporate Sponsorship in 3 Easy Steps ... Even if You’re Just Starting Out, and the CEO of Sponsor Concierge and the Sponsor Secrets Seminar. She is the industry leader in teaching entrepreneurs about how sponsors can help you fund your dreams. Her corporate sponsors include Microsoft, Wells Fargo, Epson, Fed Ex, Staples, Health Net, Citibank, American Airlines, Bank of America, Marriott, Wal Mart and IBM. Hollander has over 20 years of experience as a small business owner and is the only person to be featured in both Entrepreneur and Female Entrepreneur magazine in the same month. She has also been on NBC, ABC, CBS, FOX Television, Bloomberg Radio and Remarkable Women. Before she developed her sponsorship programs, Hollander started out worse than broke. She was buried in debt and couldn’t find a way out of the poverty trap and abusive relationships. But that’s not what really bothered her. It was that she was short and had frizzy hair to boot. Despite that shortcoming, she and her best friend, Sheryl Felice, used their girl-power to the max. They launched a packaging business which sells custom-printed shopping bags to leading-edge companies. Hollander devised a sales and marketing plan which made the fledgling business profitable in a very short amount of time. As revenues for the company increased every year, she met entrepreneurs, understood what motivates them and how she could increase their success. By the way, she is still short with frizzy hair. As she puts it, "Hey, some things you just can’t change." "Got a Story to Tell?" Have you been thinking you'd like to write your Life Stories? Have you started with notes in a shoebox? Need help organizing your notes? First time writer? 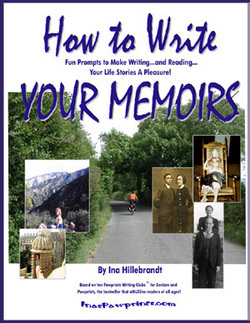 Ina Hillebrandt has worked with folks of all ages some who've never written before as well as published authors. She has a wealth of proven techniques to help writers open up to new ways of thinking and writing. Her tools will help ignite your creativity, improve your writing form and structure, and help shape your life history. Learn how to write the book of your life. A recovering Fortune 500 Consultant, Ina Hillebrandt turned to writing a decade ago. Ina moved to California with her daughter in the mid-eighties. She has written and edited articles for the New York Times and LA Times and a range of radio, TV and video programs. Ina turned her focus to specializing in helping people create vivid, compelling memoirs and morphing them into performance on stage, screen, TV and Internet. 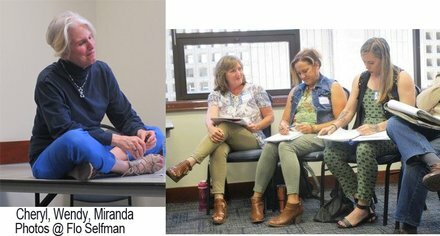 Registration & Networking: 9:30 a.m.
Memoir Writing Workshops -- New Summer Series Starting August 9! SATURDAY MORNINGS. Aug. 9-OCT. 25. 10:00 am-noon. Break through writer’s block! Ina’s Weird Prompts™ and books, including “How to Write Your Memoirs” make it easy, and fun! Practice a bit of fiction to free up writing muscles. Create memoirs even people who are not your mother will savor! Enjoy sharing your stories with people from different worlds. GET PUBLISHED WITH US! Our second collection is an Amazon.com bestseller. Or, get guidance on publishing yourself, and marketing your book. “Ina has the gift of getting people to open up. She got me writing in a direction I never would have gone on my own.” Chrystine Julian, poet, "The Sensual Spirit"
"This is a really great class!" Ed Rosenthal, recent attendee, working privately with Ina on his memoir of being lost in the wilderness without food or water for seven days. He appeared, telling this story, on the Discovery Channel's Ultimate Survivor, and has appeared in other national print, television and radio programs/articles. For more information, please contact Ina if you have questions, including how to set up a series for six to ten folks. You can also sign up to receive information in your email inbox about other upcoming series around the Los Angeles area. FEE: $595. Register by July 26 and save $45! PLEASE NOTE: SPACE IS LIMITED. THESE WORKSHOP SERIES SELL OUT FAST. Sign up below and reserve by July 26 to insure you have a seat, and get a special $45 discount. And remember -- these series make a great gift for someone you love, and whose stories you will treasure. You can sign up online to reserve your space using our secure online Paypal server, below. Footprints Memoir Writing Workshops Memoir Writing Series Saturday mornings, Aug. 9-Oct. 25. Both for folks who have not yet written, or have written and would like help starting and figuring out a structure and game plan for completing a book of their life stories, for family and friends or publication. How To Sell More Books! What steps does an author or independent publisher need to take to get a book made into film/TV/new media? Should the author/publisher be pro-active? What kind of money can an author/publisher expect to make? How does this differ with film, TV, new media? What are the considerations when one options a book? Is this ever preferable to outright sale? What kind of monies for the author are involved? What are the genres that are hot for the move to performance media? How do these differ for film/TV/new media? What do you have to do to create an interactive book for use on iPads, etc.? What types of books lend themselves to this platform? Opportunities on YouTube - should you put something from your book up on YouTube? How does the financial consideration work? 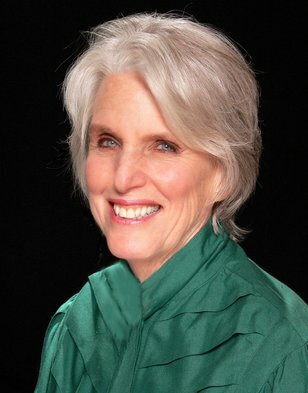 Marilyn Anderson is an award-winning writer for television, film and theater. On TV, she has written for Murphy Brown, Sherman Oaks, FAME, and Friday the 13th – the Series and she was on the writing staff of Carol & Company starring Carol Burnett, Richard Kind and Jeremy Piven. The organization Women in Film awarded Marilyn with a LUMINAS Award for the positive depiction of women in Film & TV. Her movie scripts have been sold to various studios and in 2008 one of her romantic comedies aired on Lifetime TV. 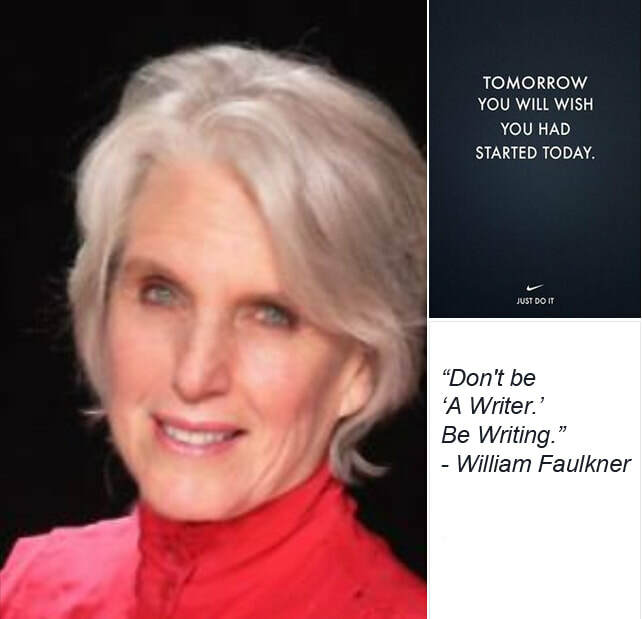 Three of her original screenplays won screenwriting contests: Scriptapalooza, Writer’s Digest Screenwriting Competition and the American Screenwriting Contest. Ms. Anderson is also a judge for the Nicholl’s Screenwriting Fellowship, sponsored by the Academy of Motion Picture Arts and Sciences that awards the Oscars. She is currently producing two feature films for which she wrote the screenplays. Marilyn wrote and produced a Web Series springing from her book, Never Kiss a Frog: A Girl's Guide to Creatures from the Dating Site. Her series airs on various web channels and is licensed to a broadband movie company. Marilyn's recent book, MUTTweiler: An AutoDOGography, became the # 1 Dog Book on Amazon Kindle in its second week of PUPlication. In addition, Marilyn has an upcoming book, How to Live Like a Millionaire... When You're a Million Short, and a new website, http://.HowToLiveLikeaMillionaire.com. You can find out more about Marilyn and her work, and contact her through her Never Kiss a Frog website at: http:// neverkissafrog.com. Reservations are not needed for PA-LA events, but do plan to come early to be sure you get a seat! COST: $5 for PA-LA members. $15 for non-members. Saturday, Feb. 16, 2013 Did you miss it? Get the tape here! Have you been thinking about writing the stories of your life? Or, have you started, but feel unclear about how to organize your writing? Looking for ideas to make your tales a better read? Are you a published author looking for help writing in the memoir form? 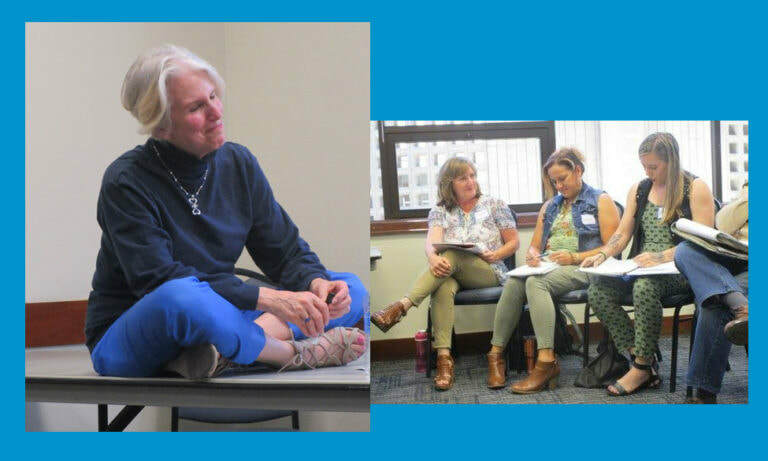 In this workshop, we will be using specially designed techniques that help enliven and enrich books of memoir, and tools to sharpen your writing and organization skills. We’ll get you started, and you’ll find you won’t want to stop. Or we’ll help you move to the next level of your work in progress. Detail derail: how much is too much, too little? Parking entrance on Culver. Parking is free. Wear layered clothing; the room is usually comfortable, but the temperature can vary. Reservations Required — Space is limited. Reservation deadline: 5 p.m. the Friday before the seminar. Tel. 310-773-8075 or email the office. What is memoir? How much does it have to do who’s telling the story? Everything, maybe, and if that’s so, how to create an authentic and credible narrative persona? How much do we know when we start? What do we stand to discover in the writing (and reading)? Writing into what you don’t know ... when the narrator doesn't know where the characters and events are going to lead. Truth in nonfiction -- how much can one stray, if at all? What can the writer reveal about characters -- especially if they were "bad guys" -- without getting hauled into court? Structure -- do you have to start your life story at the beginning? Effective themes and other options for writing a page turner. Once you've got your book, do you get an agent? How? Erika Schickel is the author of You're Not the Boss of Me: Adventures of a Modern Mom. Her essays can be found in several anthologies and online at LAObserved.com, Moli.com and The Huffington Post. She is a regular book critic and op-ed contributor for The Los Angeles Times and also contributes to The LA Weekly, Los Angeles City Beat and The Chicago Tribune. She teaches at the UCLA Writers Program, and is working on a reading series for the LA Review of Books. A stay-at-home writer, she lives in Los Angeles with her husband and two daughters. All further damning, personal details can be obtained by purchasing and reading her book. She can be reached through her website: http://erikaschickel.com. Lee Gale Gruen's memoir, Adventures with Dad: A Father and Daughter’s Journey Through a Senior Acting Class, will be published on May 15, 2013. Prior to taking this turn in her life, she had a 37 year career as a Probation Officer. After retiring, she and her 85 year old father started attending an acting class for seniors at Emeritus College in Santa Monica just for fun. Ms. Gruen wrote the scenes they performed together for 3 years in the class showcases, bonding more than at any time in their lives. 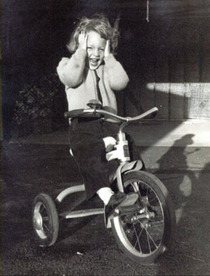 She went on to become a working actress, appearing in television, short films, commercials and community theater. She regularly performs at her alma mater, UCLA, for the UCLA Medical School, portraying patients for student training, and was also one of 6 supporting exercise/dancers in a 2011 Jane Fonda exercise DVD. Her transition to becoming an actress as a senior has been written about in Time Magazine and the Los Angeles Times. She is currently working on her next book of memoirs, told in short story form, and continues to be an active advocate for senior community programs. You can reach her through her websites, http://leegalegruen.com, http://adventureswithdadthebook.com. DID YOU MISS IT? WOULD YOU LIKE TO KNOW WHAT EVERYONE SAID? VISIT IWOSC.ORG TO GET A COPY OF THE TAPE. The Marina del Rey Hotel provides a beautiful seaside location for this all-day workshop. Your registration fee includes an early morning pitch prep session (optional), a continental breakfast, a delicious buffet lunch, panel presentations from experts in the fields of BOOK PROMOTION AND PUBLICITY, SELF-PUBLISHING, LITERARY TRENDS (WITH AN EMPHASIS ON YA DYSTOPIAN NOVELS), and PITCHING TO LITERARY AGENTS...plus the opportunity to pitch your idea or book to a literary agent during the lunch break. Check out our ongoing free memoir writing workshops for seniors (and gate crashers who are young whippersnappers in their twenties or thirties on occasion). The group always has fun. 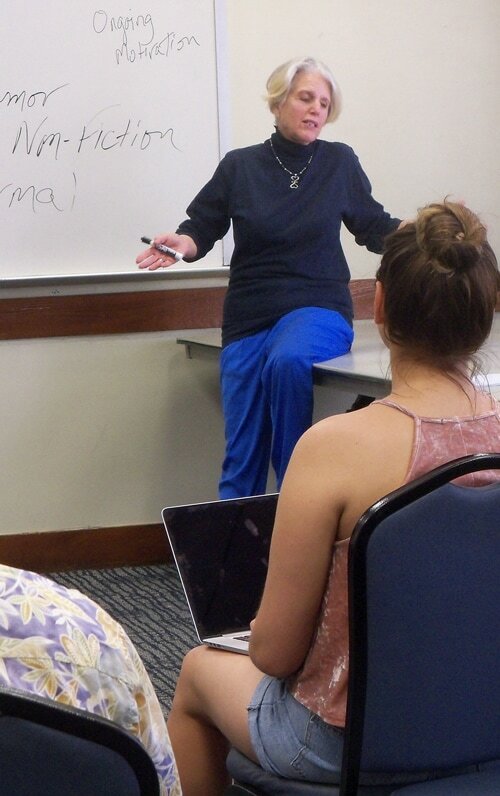 We work on memoirs, and do a lot of impromptu writing based on Ina's Weird Prompts ™ in class -- these stimulate folks to write both memoirs and fiction, which Ina feels strongly improves memoir as well as fiction writing. WHO IS THIS SERIES FOR? People who have never written, as well as published authors new to the memoir form. TIME/DATES: Mondays, 10:00 a.m. - 11:45 a.m.
Scroll down for options for other times/places below. NOTE: Private coaching services for writing, editing and publishing your memoirs are also available, in person, by phone and virtually. Contact Ina to find out more.